So said former Attorney General Eric Holder on Comedy Central’s The Daily Show Tuesday night when asked about a presidential run in 2020. Holder was admittedly being flippant, but the former Obama administration official then confirmed to host Trevor Noah that he’s giving the idea of a White House run serious consideration. Holder may not have made any determinations, but he has made some concrete plans to come to New Hampshire and speak at “Politics and Eggs,” hosted by the St. Anselm College Institute of Politics and the New England Council, on Friday June 1st. This event is a mandatory stop on the New Hampshire #FITN political circuit, and the 2018 list of attendees already includes Sen. Jeff Flake, former Gov. Martin O’Malley and Weekly Standard founder Bill Kristol (scheduled for next month). What sets Eric Holder apart is his openness about his intentions. 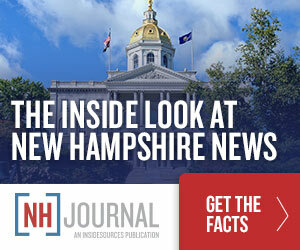 “Julian Castro did the same thing–and I think that’s smart,” St. Anselm IOP’s Executive Director Neal Levesque told NHJournal.com. Castro hasn’t appeared at a Politics and Eggs event (yet), but he did visit the St. Anselm campus and speak to students in February.